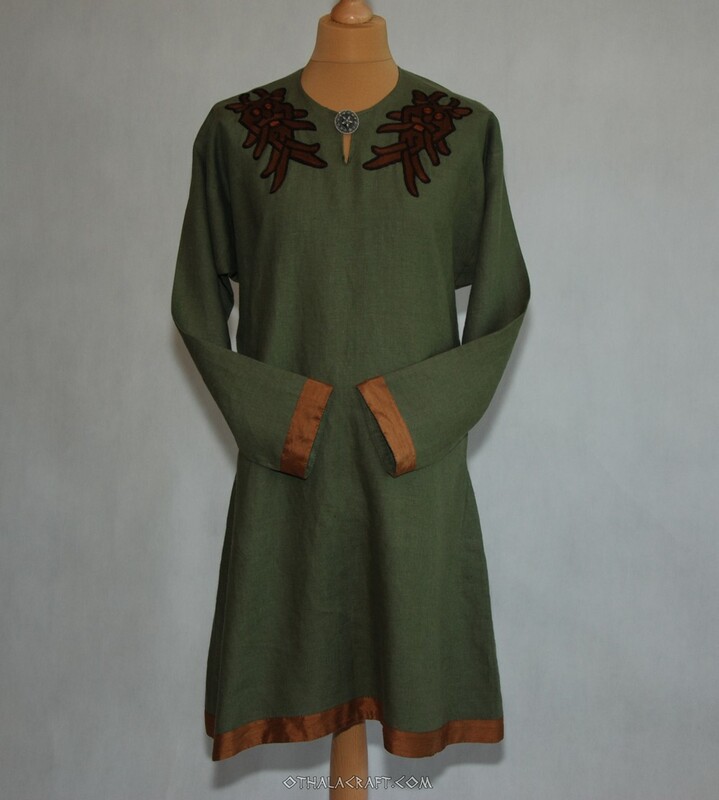 Decorated Viking tunic made of 100 % linen fabric in olive color. 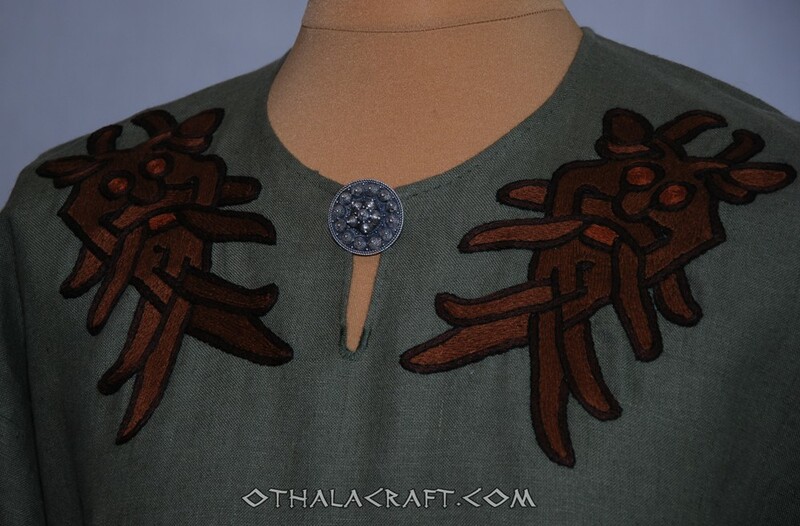 Shape based on a find from Birka (Sweden), 8th-9th cent. 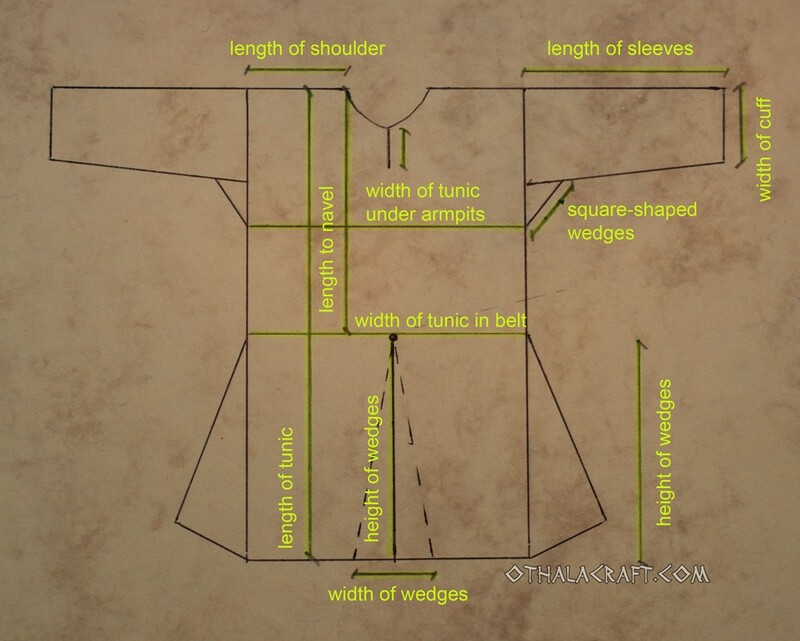 Made of two rectangles and with square-shaped wedges under the armpits and wedges on the sides. 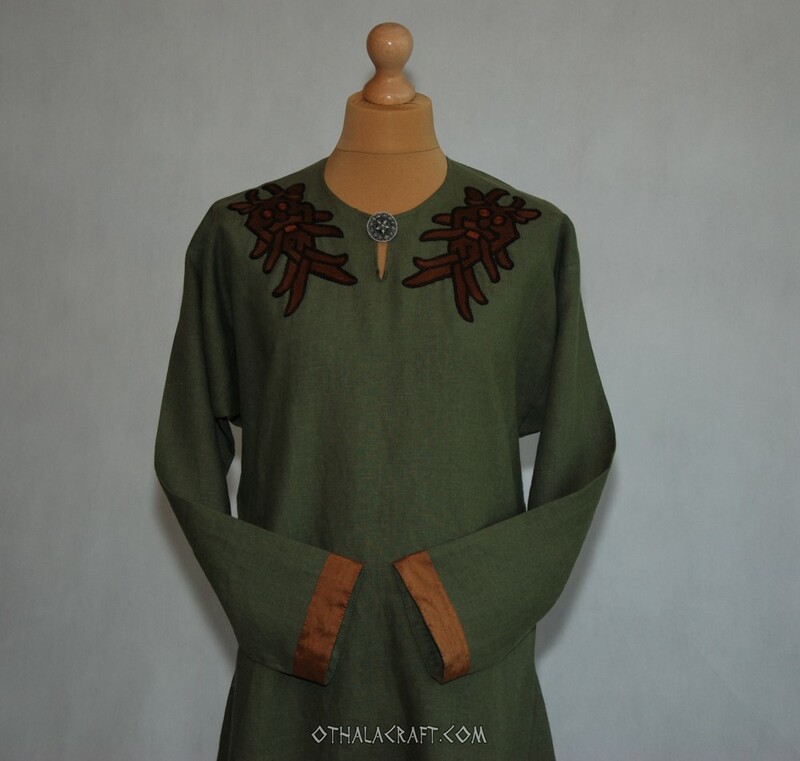 The cuffs and the down part of tunic are bordered with gray, diamond pattern wool. 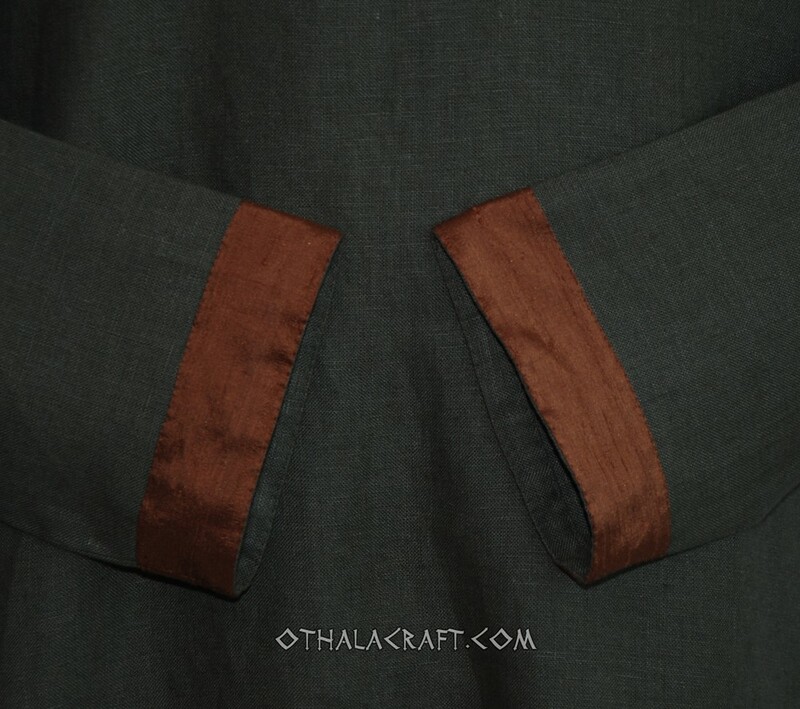 Fabric has been washed before sewing. The embroidery was made with linen threads. 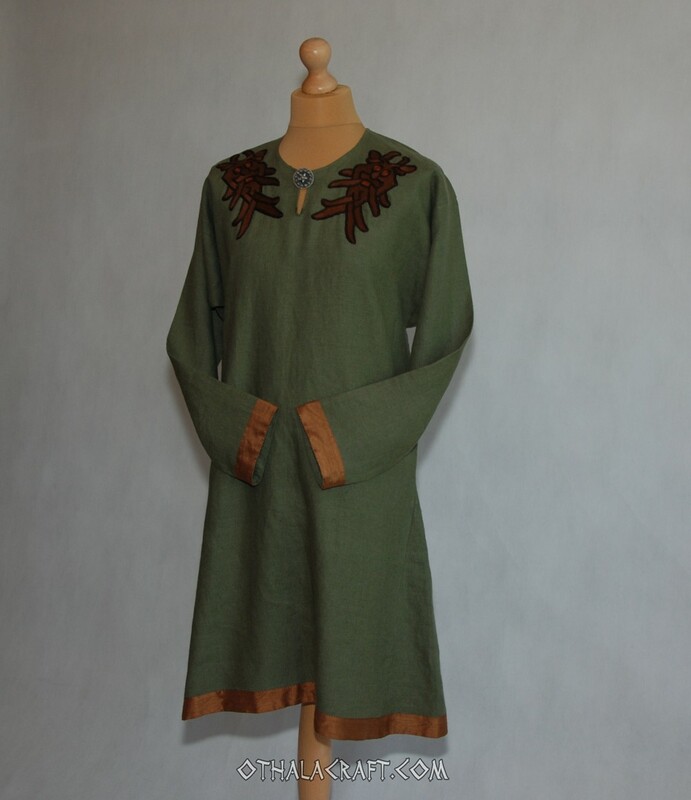 The stitching motive has been found in rune stone in Aarhus, Denmark. The embroidery sized 10 cm x 18 cm ( 4,7 x 7,4 inch). 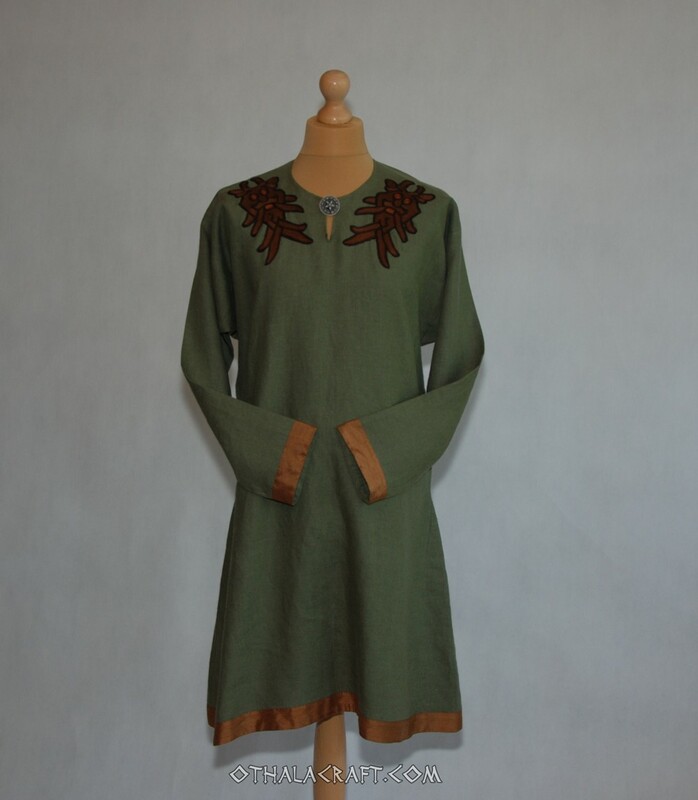 Size: length of tunic 107 cm (42,43 inch), width 53 cm x 2 (20,87 x2), length of sleeves 54 cm (21,26 inch), width of sleeves 15 cm (5,91 inch), height of wedges 44 cm ( 17,32 inch), split under neck 8 cm (3,15 inch) .